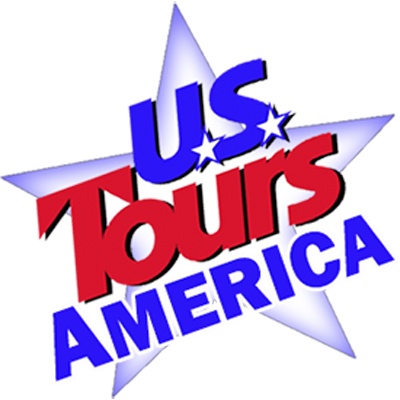 A New Itinerary from U.S. Tours . . . Come, meet the Navajo! . . . This one week tour of Northern Arizona’s Navajo Nation is available with round trip air from Phoenix, or as a driving tour from the east or west coast. It is one-week visit on the sovereign lands of 300,000 Native Americans. Come, learn their history and traditions, share their food and music, and marvel at the natural scenery of Monument Valley and Canyon de Chelly. Ground Transportation is not included in this price but is easily added see our link below. All travelers will be given a paper on reservation protocol. While passports are not required this is a Sovereign land and the Navajo have rules and laws to obey. By mid- morning you have left Interstate 40 behind and begun travel on two lane roads and crossed the border onto the land of the Navajo Nation in Arizona. The Navajo are the largest tribe in the US with a population over 300,000, their 27,000 square mile Reservation extends into Utah, Arizona and New Mexico. It is a land of unparalleled beauty, timeless vistas that are today much as they were when it was inhabited by the ancient ones -the Anasazi people (Navajo Ancestors). Your first stop is the famous St. Michael Indian School, a Catholic school founded by St. Katharine Drexel in 1902. Here your group will be served a traditional lunch, then you have a tour of the school that includes interaction with the students who range in age from pre-kindergarten to high school. Next see St. Michael Mission Museum and Church. It was constructed at the request of Mother Mary Katherine Drexel and operated by the Franciscans with assistance from the Sisters of the Blessed Sacrament. Though only a subdivided stone building, it offers some of the best insight into the Navajo culture of the early 20th century. This Morning before leaving Window Rock you will enjoy a short driving tour that adds insight into this Capitol Community. Depending on the day of the week you may have an option to attend Mass at St Michaels or visit the Tribal Chambers if they are in session. A late morning stop is made at the Hubbell Trading Post. The squeaky wooden floor greets your entry into the oldest operating trading post on the Navajo Nation. When your eyes adjust to the dim light in the “bullpen” you find you’ve just entered a mercantile. Hubbell’s has been selling groceries, grain, hardware, horse tack, coffee and Native American Art since 1878. It is now a National Historic Site that features a bookstore, exhibits, rug weaving demonstrations. This afternoon you arrive in Chinle, AZ and tour Canyon de Chelly National Monument. Nowhere in Navajo land is the blend of traditions and modern culture more evident than here. Archaeological History shows more than 4,000 years of human occupation, with several distinctly different periods of habitation between 350 A.D. and 1300 A.D. The 260-mile Canyon rim has sheer cliffs ranging from 30 to more than 1,000 ft. tall. You will have a spectacular view of Anasazi Ruins, as well as modern Navajo homes and farms, from the rim as well as from the Open-Air Vehicle tour into the Canyon. The Navajo, or Dine’ as they call themselves, continue to raise families and plant crops here just as the “Ancient Ones” had. Their farms, livestock and hogans of the Dine’ are visible from the canyon rims. Here you will also meet with a Native American interpreter who will discuss the importance of Canyon de Chelly to the Navajo. Tonight, you will be at the Thunderbird Lodge. It is a refurbished 1960s motel, clean and comfortable and right next to the Canyon. The trading post is an historical building that is well worth the visit, and the cafeteria is a favorite local eatery for people who live nearby. This morning, you enter Monument Valley on a Jeep Tour. Here the Valley looks about like it did 300 years ago, which looks like it did 3,000 years ago: vast, wild and sun-baked, with deep canyons and towering buttes variegating the desert plane. You’ll see the sky, bigger and bluer than you ever seen it. You’ll see the earth, red, rough and unpredictable. Monument Valley is what the wind and water made it, and is a spot long favored by Hollywood filmmakers. This afternoon you arrive at the Quality Inn in Tuba City. The name comes from the Navajo word “toova,” meaning tangled water – in reference to underground streams. While here you will explore the Navajo Interactive Museum showcasing the journey the Navajo’s take through life. Four Navajo monumental directional symbols divide the Museum into four quadrants. Traveling clockwise, you will enter the east and move to the south, west and north where in each quadrant you are introduced to the land, language, history, culture and ceremonial life of the Navajo. At over 7,000 sq. feet, the museum features a traditional Navajo Hogan (home) and Navajo stories of creation. Just a few short steps away from that museum, the Navajo Code Talkers Museum has actual gear and tools used in battle, victory stories, transcripts of a Code Talker and exceptionally detailed photos. The Code Talker’s primary job in World War II was to talk and transmit information on tactics, troop movements, orders and other vital battlefield information via telegraphs and radios in their native dialect. A major advantage of the code talker system was its speed. The method of using Morse code often took hours, whereas the Navajos handled a message in minutes. It has been said that if was not for the Navajo Code Talker’s, the Marines would have never taken Iwo Jima. You will also want to stop at the Historic Tuba City Trading Post. Since its establishment in 1906, the Tuba City Trading Post has not changed very much. Since 1870, the Tuba City Trading Post has been a place of commerce among the Navajo people in the area. The Trading Post has been restored to capture much of its original appearance and still remains a working trading post. To this day the trading post contains authentic American Indian arts and crafts such as hand crafted silver jewelry, pottery, rugs, sandpaintings, Kachina dolls, and clothing – each reflecting the superb craftsmanship and cultural traditions of the artist. This morning, you travel to Page, AZ for a guided tour of Antelope Canyon with a Native American guide. The sprawling Navajo Nation has no shortage of magical places, but the most photogenic might be Upper and Lower Antelope Canyon. The Canyons are a testament to the power of water and time, as over the years, flash flooding has created deep, gorgeous passageways—called slot canyons—that you can walk through. They are also considered a spiritual place by the Navajo. The name Antelope Canyon comes from an era when antelopes ran wild in the canyons, but the only animals you’ll see these days are other human beings. Its unsurpassed beauty is breathtaking. Enjoy a morning stop at the Cameron Indian Trading Post, which has been in operation for almost a century, featuring Navajo, Hopi, and Apache works. A visit to Cameron is more than just a routine stop on your tour. It is a cultural experience; an opportunity to learn about Navajo culture first hand through their art. Still a vital part of the local economy, the Cameron Trading Post sells hand-crafted jewelry of silver and turquoise, colorful rugs painstakingly crafted on looms handed down through generations, as well as pottery, baskets and paintings from many tribes throughout the Southwest. This afternoon you tour the South Rim of the Grand Canyon with stops at the historic Grand Canyon Railway, Mather Point, the new Grand Canyon Visitor’s Center, the rim walk to Yavapai Point, Bright Angel Lodge, the Hopi House Museum, and gift shops at the Grand Canyon National Park. Note: This itinerary is a co-op venture with our friends at the Free Spirit Adventures.